Clutch Time was not only a brilliant marketing idea for social media, it also represented a Flyers team that righted a sinking ship with a franchise record 10-third period comeback victories at the Olympic break. The number 46, however, doesn’t represent the number on a sweater. After all, the number is available for a future member of the team, should they so choose to wear it. The number 46 represented the available points for the Flyers at the post-Olympic break. While the orange and black failed to go undefeated in their last 23 games, they did rack up an impressive 28 points. 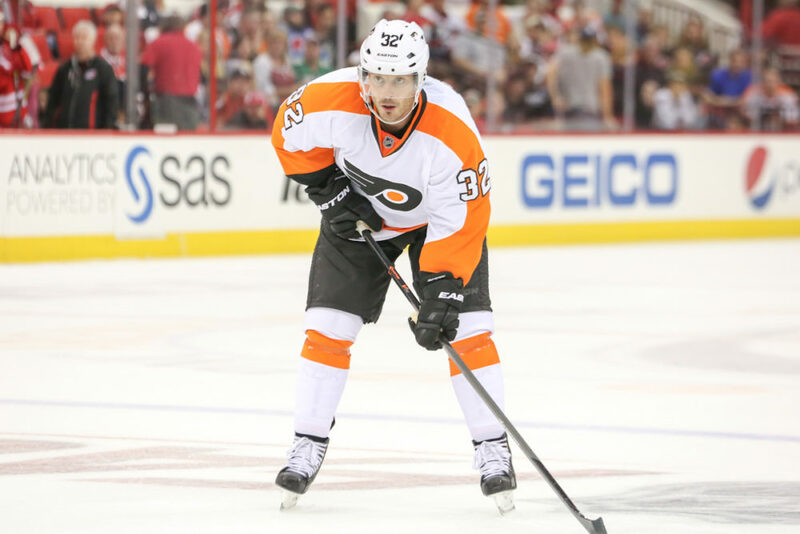 But overcoming adversity has become the theme for the 2013-14 Flyers. Not only did they overcome their worst start in franchise history, only three other teams had more wins when trailing after two periods. With 90 third period goals, the Flyers have unquestionably played their best hockey in the final stanza of regulation. With their 60 goals scored in the first period and 79 scored in the second, the Flyers have shown a trend of not only getting better as the season progressed, but as each individual game got deeper and deeper. Clutch Time wouldn’t be what it is without the individual performances by certain Flyers. While the defensive core took it’s lumps throughout the season, the Flyers boasted seven players who played all 82 games of the regular season. Furthermore, five other players played in at least 75 games, giving Philadelphia the advantage of gaining production throughout their lineup. No one has exuded Clutch Time quite like Claude Giroux, though. After 15 games without a goal, the Flyers’ leading point scorer broke through against Edmonton. It would be his first of 28 on the season, which coincidentally matches his uniform number. Since then, Giroux has been a scoring freak, leaving him third overall in the NHL in points. Speaking of points, no other player in the league has tallied more points in the past four seasons than Giroux’s 303 points. Giroux has most points among all NHL players in last four seasons, too, at 303. One better than Marty St. Louis at 302. On the power play, Wayne Simmonds has established himself as a legitimate threat, ranking third in the league with 15 power play goals. The Flyers were 2-for-13 on the power play against the Rangers this season, but one of the two goals scored on the man advantage was courtesy of Simmonds. Brayden Schenn’s single assist against the Rangers in the season series doesn’t do his contributions on the season the justice they deserve. When it comes to game-winning goals, only Claude Giroux had more than Schenn’s six. The 22-year-old forward set career-high’s in every category except power play goals, tying his career-high of six. And let’s face it, nothing says Clutch Time quite like a game-winning goal. And although the Flyers have four other players who totaled 20 or more goals, fourth-line winger Adam Hall has flown under the radar throughout the 80 games he’s appeared in. It’s easy to overlook the 33-year-old Michigan native, especially with his less than impressive minus-15 rating. But contributions from unlikely sources all count the same, including his two shorthanded goals. Hall recently displayed Clutch Time, adding two assists in Philly’s win over the Florida Panthers on Apr. 8th. Hall’s first multi-point game with the Flyers was the 14th of his career and came in the game the Flyers earned their playoff berth. With an 8-5-1 record in their final 14 home games, the Flyers were still able to outlast the irritating Columbus Blue Jackets to hold onto third in the Metropolitan Division; but their Apr. 10th loss to the Tampa Bay Lightning secured home ice for their first-round opponent, the New York Rangers. With the Flyers last winning at Madison Square Garden in Feb. of 2011, the Flyers will need to fuel up on Clutch Time like Popeye loaded up on spinach if they want to have a chance at moving on. Despite their MSG woes, the Flyers were still able to win both games at home against the Rangers. But not only did New York win the last two games against Philly, they did so in their own barn. Against their rival from Broadway, the Flyers have been anything but clutch. Mark Streit and Matt Read led the team in points with three, while no Flyers skater has been able to beat Henrik Lundqvist, or Cam Talbot for that matter, for more than one goal. But where the Flyers go, Clutch Time looms. And despite being the series underdog, the Flyers can skate past the Rangers and onto the second round if they follow nhl.com’s recipe for success. It’s not preposterous to believe the Flyers can do exactly that. After all, Clutch Time has derived off of the Flyers doing what most said or thought they couldn’t do. But with 33-game-winner Steve Mason on the shelf for game-one against New York, winning at MSG comes down to the Flyers doing what got them to the dance. Although the Flyers will surely want to steal the first game in New York, Clutch Time will live as long as the Flyers have life. And for the Flyers, they wouldn’t have it any other way.